New U.S. Dietary Guidelines – Hello, Confidence! Business Insider UK recently featured a short article outlining the new U.S. dietary guidelines, which are updated every five years. This year’s update was led by two groups: the HHS’s Office of Disease Prevention and Health Promotion (ODPHP) and the USDA’s Center for Nutrition Policy and Promotion (CNPP). In short, their guidelines tell you what you should and should not be eating. The take home message is basically stay away from sugar and “bad fats” and eat more vegetables. Shocking, right? Ok, maybe not, but we’ll explore a bit more about the rationale here. Also, coffee is ok now (in moderation)…so read on! 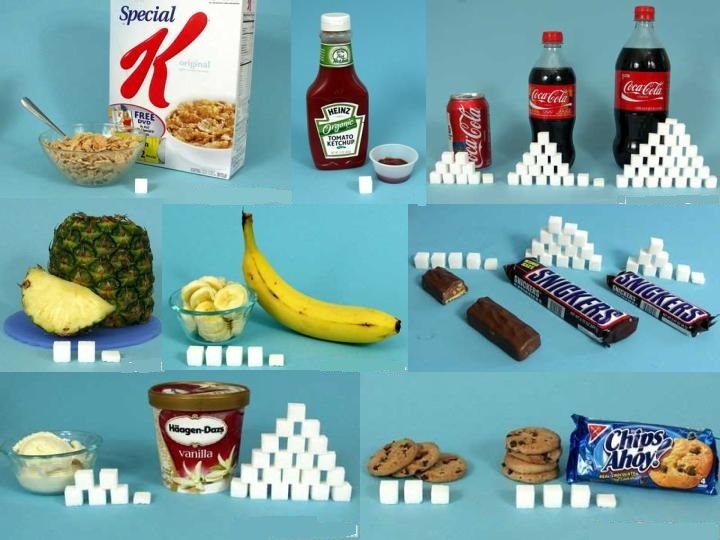 Sugar is everywhere – from the obvious (e.g., candy) to healthier foods like fruits and salad (via dressing). Your best strategies to take control of your sugar intake: read the labels on the back of prepackaged food at the grocery store, avoid adding sugar to foods like tea or cereal, and limit sugary drinks (e.g., alcohol, gourmet coffees, juices, and soda). All three are easy changes that can help cut down on excess sugar in your diet. 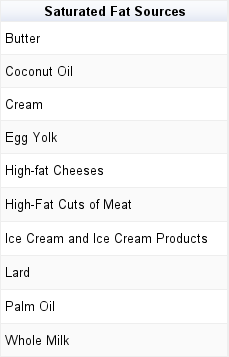 Trans fats can occur naturally in small amounts in the fatty parts of meats and dairy products. However, the trans fat that you want to be careful to avoid is called partially hydrogenated oil. It is created in an industrial process that adds hydrogen to vegetable oil. This addition causes the oil to become solid at room temperature increasing the food’s shelf-life. Double the trouble, partially hydrogenated oil can not only increase your LDL (bad cholesterol) but also decrease your HDL (good cholesterol). Just to be clear here, the point is not to cut fat from your diet. In fact, the new nutritional guidelines promote a moderate fat diet. It is usually advised that adults receive 20-35% of their daily calories, with 10% or less from saturated fats. Fat consumption is critical to your health for many reasons, like moderating inflammation, creating long-term fuel storage, and helping brain development. 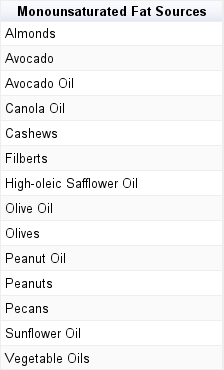 The key is which fats you are eating and how much of each type. By referring to these charts, you can easily add a moderate amount of good fats (i.e., unsaturated fats) to your diet while decreasing but not eliminating your intake of foods with saturated fat and avoiding foods with trans fats. The other recommendation from Business Insider is to increase your vegetable intake. Ok, again seems obvious, but why? Vegetables are generally low in fat and sugar, high in fiber, full of vitamins and nutrients, and water dense. So in exchange for very few calories and a bit of fat and no trans fat, you feel full from the fiber, you get your nutrients and vitamins, and you increase your hydration. 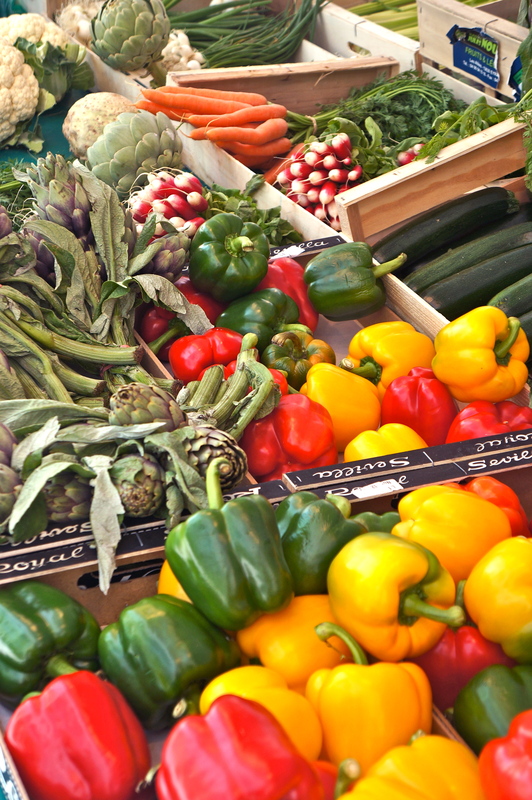 Bottom line, vegetables are great for you and critical to a healthy diet. This leads us right in to the other big update that they are reversing their recommendations on caffeine and cholesterol. All you egg and coffee lovers rejoice! Eggs and other foods with saturated fats and highly caffeinated drinks were red flagged in the past. But with the new guidelines suggesting a moderate fat diet (including some saturated fat) and acknowledging the health benefits of caffeine, brunch has never looked so good! Now, you may be thinking, “Wait a minute…I’m pretty sure I just heard that coffee and its high levels of caffeine are bad for me, and now all of a sudden I’m hearing caffeine is being recognized for its health benefits? Did I miss something? !” No, you didn’t. This type of shift happens from time to time in the wellness industry and can be very confusing and frustrating to consumers who want to stay up to date with healthy habits. However, seeing different foods suddenly change from a “cause for concern” to “beneficial” is another reason that moderation is your best bet. The article’s bottom line is that “basically, the committee is recommending a diet that includes vegetables, fruits, whole grains, dairy, seafood, legumes, and nuts, with some meat being okay (though not too much, and less red and processed).” People are eating too much sugar, saturated fat, refined grains, and sodium, while not eating enough fruits, vegetables, and whole grains. The guidelines recommend that people not eat too much or too little of various foods, whether it is eggs, vegetables, or fat. So, it really all comes down to moderation. Know what you are eating by reading nutrition labels and having a general understanding of food content. Cook for yourself when possible. And try not to add extra sugar to your food. You can have your eggs and coffee, but remember, moderation. All in all, I am a fan of the new guidelines. What do you think?